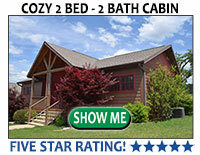 Branson, Missouri offers some of the finest fishing opportunities in the Ozarks. No matter what type of freshwater fish you fancy, we can make your angling dreams come true on your next Branson vacation. 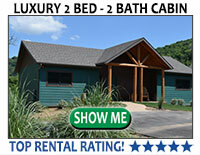 Lake Taneycomo is 22 miles of terrific trout fishing. Both rainbow and brown trout thrive here due to the lake’s clear, cold water. Taneycomo is fed by water that comes from depths of about 200 feet from Table Rock Lake, which means that the water in Taneycomo stays pretty chilly and oxygen rich, perfect for trout. Shepherd of the Hills Fish Hatchery, operated by the Missouri Department of Conservation, is located just upstream from Trophy Run. About 700,000 trout are stocked into Lake Taneycomo each year, so a bad day of fishing on this lake is rare. 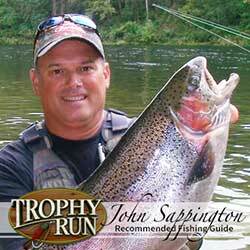 Trophy Run can help with any questions you may have about rules, restrictions and recommended lures and baits. If you’d like to have a professional on your team , Trophy Run has expert fishing guides who will guarantee you a great time on the lake. With nearly 800 miles of shoreline, Table Rock Lake has a lot of nooks and crannies where feisty fish feel right at home. Table Rock Lake is known for largemouth bass, smallmouth bass, Kentucky bass, spotted bass, crappie, bluegill, catfish, walleye and even paddlefish. Many anglers enjoy fishing from the shore for bluegill and smallmouth bass, but if you’re after the big ones then a boat is the only way to go. All you need is a Missouri fishing license and a rigged fishing pole and you’re ready to fish Table Rock Lake. However, the favorite lures and bait can change from day to day depending on weather patterns, water temperature and seasons. If it all seems a little daunting, don’t worry, Trophy Run can also set you up with professional fishing guides for Table Rock Lake who can help take all the guess work out of this fantastic sport. All you have to worry about is reeling them in! 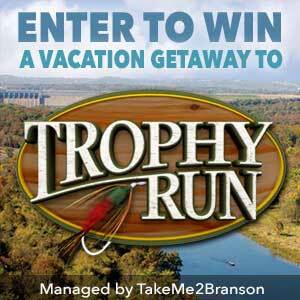 Trophy Run has aligned itself with the premiere fishing guide services in the Branson area. Whether you want to reel in a big bass, a trophy trout, or just get to know the area lakes – we have the right fishing guide for you. Check out our guided fishing vacation package for more information. 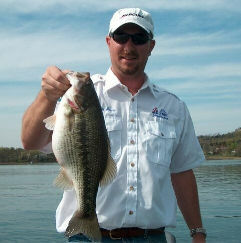 Enjoy a day on Lake Taneycomo or Table Rock Lake creating your own “Fish Tale” with Captain Shane Pierce. 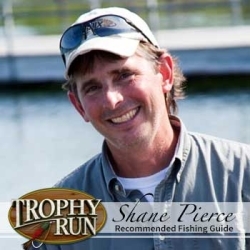 Captain Shane Pierce has been fishing Lake Taneycomo and Table Rock Lake since he was a young boy. Shane holds a real estate license, owns a small advertising company, and teaches Bass fishing techniques at Gibson Tech. Even with all of those talents, he lists guide fishing above them, all as his passion. Catching fish is relaxing, exhilarating, fun and captivating. Captain Pierce wants to make sure you experience all of those things, and he promises you a safe trip full of fish tales, personalized service, beautiful scenery, and a memory that will last a lifetime! Championship fisherman John Sappington will transform your vacation into a fishing trip you’ll never forget. John Sappington is the only full-time Branson area fishing guide with both local and national professional tournament fishing success, and he truly enjoys helping his clients catch fish. His many achievements include winning the Field & Stream Total Outdoorsman Fly Fishing Competition 4 times as well as holding all-time records for “biggest trout” ever caught and the “largest 2 & 3 fish limits” in the ten year history of the event. With his many years of experience catching some of the biggest fish ever to come out of Lake Taneycomo, Table Rock Lake, and Bull Shoals; you can bet that a guided fishing trip with John will make you feel like a fishing champion yourself! Stone’s Guided Fishing is a professional fishing guide service located in Branson, guiding on Table Rock Lake and Lake Taneycomo for bass, trout and panfish. Mr. Stone is a full time professional guide for bass, trout, crappie, bluegill, white bass, and walleye on these scenic lakes. 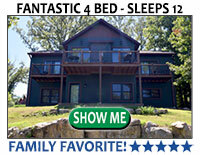 Fish on Lake Taneycomo, Table Rock Lake, and Bull Shoals Lake with a proven tournament angler. He is very experienced and is a seasoned veteran guiding and competing in local, regional, and national tournament circuits. It has always been a dream and passion for him to make a living guiding and teaching folks how to fish and have memorable experiences on the water. With over 20 years experience he continues to learn and provide customers with the most enjoyable and safe experience on the water. 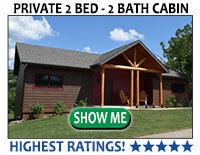 Experience the quiet side of Branson, Missouri. River Run Outfitters provides an experience not generally thought of in the area….a guided fly fishing trip for Rainbow and Brown trout in the crystal clear, cool waters of the Taneycomo section of the White River. River Run Outfitters provides both full day or half day walk/wade trips or a drift down the river in a western-style drift boat. These boats are widely used on the western streams and rivers and perfect for the waters we have in the Taneycomo portion of the White River. They are specifically designed for fly fishing; very stable and manuver easily in the shallow areas of Taneycomo as well the faster water during generation. River Run Outfitters can also customize a trip based on the size of your party or the amount of time you want to spend on the river. River Run Outfitters has 7 guides, 5 men and 2 women. All of these guides are excellent instructors and are always ready to share their knowledge and passion for fly fishing with others. 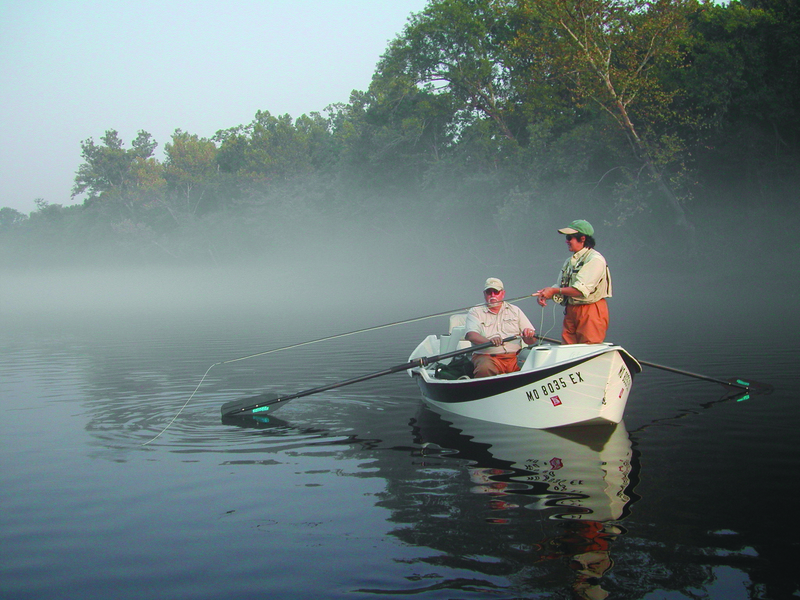 From the seasoned fly fisher to the “always wanted to learn how” fisher to be, River Run Outfitters will make certain it is an experience to remember. All equipment is provided. (select option 1) for current water generation conditions at Table Rock Dam and flow status for Lake Taneycomo provided by the US Army Corp of Engineers. water release rate Click for current data & charts.